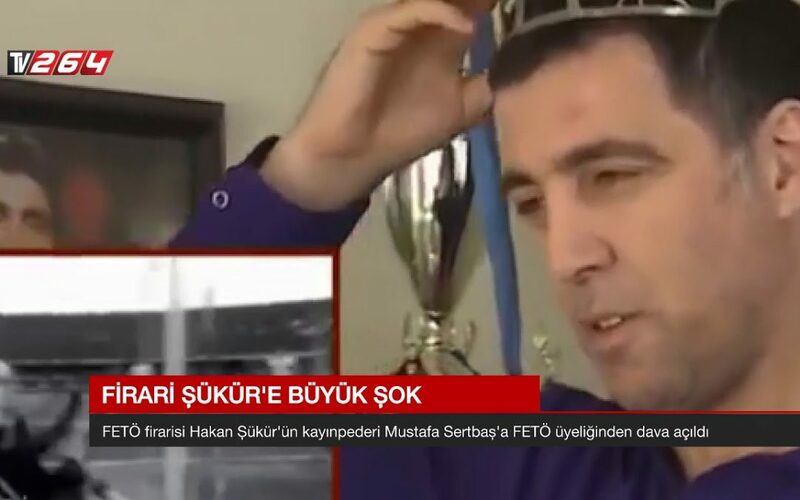 Hakan Sukur’s father in law Mustafa Sertbas has been detained over a power of attorney the former football star issued for him, media said Monday. Sertbas was caught when a notary public in Istanbul’s Beyoglu where he had planned to get the power of attorney reported him to the police. The father-in-law faces 7.5 years and 15 days in prison on charges of membership to the Gulen movement. Şükür, who is living in exile in the US, played for Turkey 112 times and scored 51 international goals. He joined Galatasaray in 1992 and was part of their UEFA Cup-winning team in 2000. He had spells with Torino (in 1995) and later with Inter Milan, Parma and Blackburn Rovers. He scored the fastest-ever World Cup goal, after 11 seconds against South Korea in 2002. Retiring in 2007, he was a ruling Justice and Development Party (AK Party) deputy for two years from 2011. Şükür’s assets have been confiscated by the state due to his links to the Gülen movement and his father, Sermet Şükür, was released after being remanded into custody for three months. He is still on trial due to “terror links.” Arrest warrants were earlier issued for Sukur over his links to the movement. Earlier, his father Sermet Sukur was also arrested over similar charges. The government accuses the Gülen movement of masterminding a failed coup attempt last July, although the movement denies involvement.